And yet it is funny... Maybe it's because I don't like babies, or children. I've shown this to three people so far today. It always ended up laughing and saying something along the lines of "that's terrible". @ Trevor: And yet it's still funny. 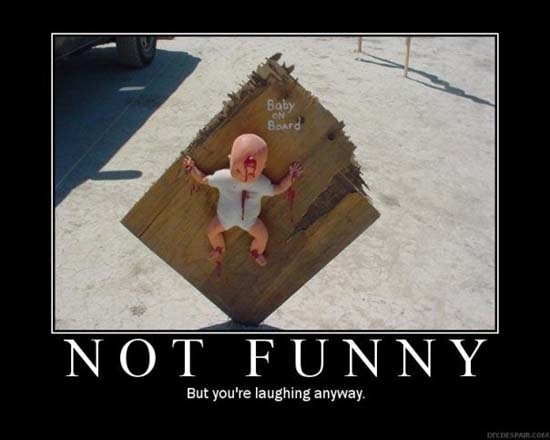 That is Horrifying that people out there think this is funny! i looked up funny monday pics and these crap showed up! wtf is this world coming to!!! @ Cassandra: It's just a doll.